The Kediyu and Kafni Pajama is an ensemble for men used typically in the performance of the Garba and Dandiya dances. It is a two-piece attire wherein the Kediyu is a shirt and the Kafni Pajamas, the bottom. This ensemble can be seen in a variety of colors and embellishments during the season of Navratri, which is celebrated with a lot of gusto in the land where Garba and Dandiya originated i.e. Gujarat. 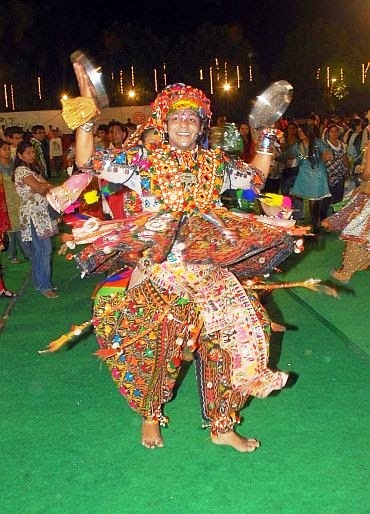 Moreover, besides Gujarat, all other states and countries that celebrate Navratri with Garba and Dandiya dance festivals have this traditional attire as the primary option for the men’s costumes. This attire is styled to give free movement to the arms and legs so that the participants do not feel restricted. While the Kediyu and Kafni Pajama does not have a particular point of origin, the background to this outfit lies in the traditional menswear of Gujarat in all its vividness and regality. Having birthed with the Garba dance, the Kediyu and Kafni Pajama duo is meant to offer freedom of movement to the limbs and torso. The basic premise is that the wearer should not feel uncomfortable while dancing, therefore the looseness in the overall fitting of the two parts of the ensemble. The color scheme of the Kediyu and Kafni Pajamas, in context of their original usage, was inspired by the colorful culture of Gujarati clothes and embroideries in general. Furthermore, the clothes that were made for the rulers in the Gujarat region were always elaborate in their threadwork, mirror work and stone embroidery. This has permeated across time to become an integral part of the Kediyu and the borders of the Kafni Pajama. The Kediyu, which is the shirt also known as a ‘gathered frock’ for men, is stitched to be full sleeved along with being above the knee in length. The fitting of this element of the outfit is snug around the chest. From thereon it flares around the waist and hips, lending a special element of beauty to the dance when the performer moves in a circular motion. The sleeves also fit snugly around the arms. The Kafni Pajamas are crafted to match the look of the Kediyu top. This kind of bottom wear has multiple pleats at the waist that balloon outwards when the wearer swirls. At a standstill, the pajamas look flared at the hip and straight at the inseam while tapering towards the bottom. It is interesting to note that as these pajamas taper down they end in a cuff-like structure around the ankle. 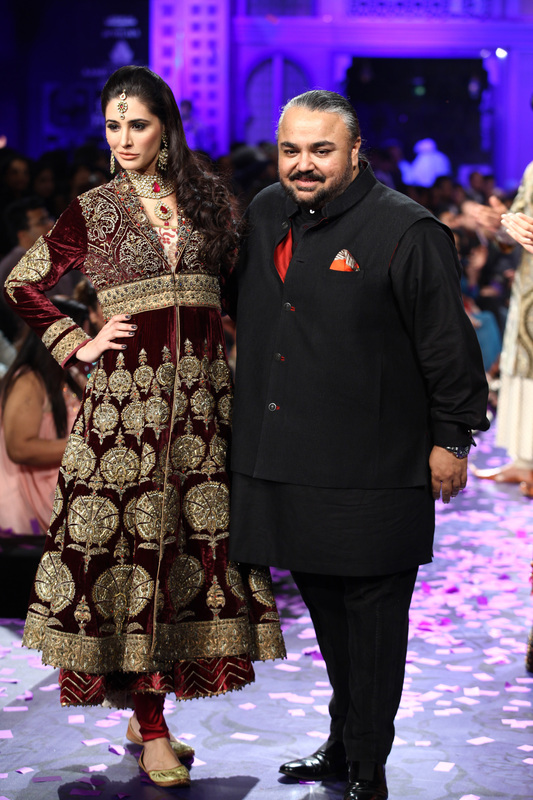 Both elements of the attire are elaborately designed and embroidered. While it is possible that the entire Kediyu be completely embroidered, the more commonly seen tops of this kind have intricate work around the collar, the cuffs and on the flared portion of the shirt. The same principle is seen applied to the Kafni Pajama as well. While some prefer to sport bottom wear with minimal work that restricts itself to the ankles, the others can showcase exquisite work through and through. The most commonly seen stitches on the underside of the embroidery are the back stitch and the cross stitch. The styling of the Kediyu can be based on the length of the frock. While long frocks are preferred to be worn by professional Garba and Dandiya Raas artists, the shorter Kediyus are worn by everybody, especially young men and boys who are guests at the celebration. Another way of viewing the variety seen in the Kediyu and Kafni Pajama outfit is by examining the kind of embroidery that has been done on it. Rabari embroidery which is essentially intricate and colorful threadwork in geometrical, wavy, as well as humanoid motifs, is one of the most popular choices in the crafting of this ensemble. This type of embroidery is usually accompanied by elaborate mirror work that adds a kind of glitter and shimmer to the participant while he dances. 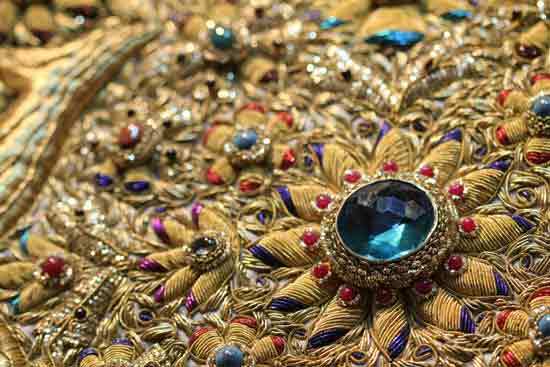 Another popular embellishment on the attire is tassels which have small spheres of colorful thread at the end of them. Kutch embroidery, bead work, mukko embroidery in silver and golden thread, gota work and kharek embroidery are among the other commonly seen embellishments in this form of festive clothing. Kediyu and Kafni Pajamas are primarily made of cotton for the reason that physical activity like dancing makes a person sweat and cotton is a cool and absorbing textile. 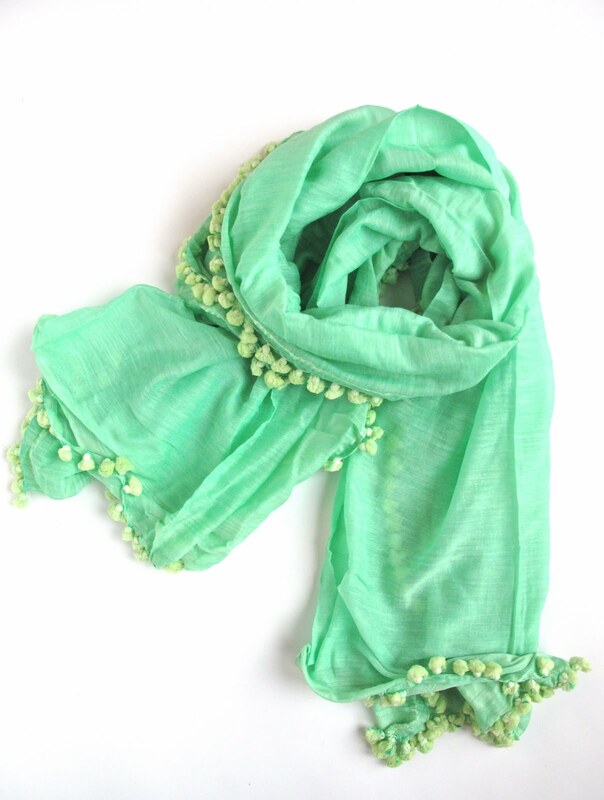 Cotton is also a light and airy textile, which adds to the comfort of the performers. The most commonly seen colors in the Kediyu and Kafni Pajamas at social gatherings are warm ones like red, orange and yellow. 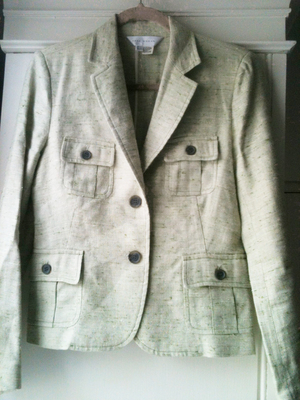 However, greens, blues, blacks and whites are equally popular. The Kediyu and Kafni Pajama has crossed continents and gained prominence across the globe due to its identity as traditional wear for Navratri, Garba and Dandiya Raas. Wherever Navratri is celebrated with much pomp and show, such as the United States, Canada and Australia, the guests attending the dance night (whether Indian or otherwise) majorly opts to sport this ensemble. Furthermore, within India, workshops are taught on Garba and Dandiya in preparation for the Navratri festivities and the male participants of the workshop are expected to wear the Kediyu and Kafni Pajamas. It has also often been sported in Bollywood as well as regional cinematic productions that have a Gujarati family at the forefront of the plot. The Kediyu and the Kafni Pajama have undergone innovations separately and appeared on global runways in more subtle forms. For instance, the Kediyu has been showcased as women’s top wear by certain international designer sans the traditional ethnic embellishments. The Kafni Pajama on the other hand, has been adapted to create festive menswear bottoms for special occasions. These pajamas too are sans embellishments and can be worn with a long kurta or sherwani jacket, as seen on the runway. The Kediyu and Kafni Pajama ensemble is only complete when the men team it with a head dress, kada and mojris. The head dress can be styled either by tying it around the head in a knot or by making a turban out of it. The color of the head dress is complementary to the outfit itself. The kada is a single thick bangle for men and is usually in silver. Mojris are a type of leather shoes that often also have embellishments on them. Often the Kafni Pajama that is teamed up with an elaborate Kediyu is kept simple, so as to let the embellishments on the shirt pop. Since the Kediyu and Kafni Pajama are classified as festive clothing, it is advisable to maintain it with the utmost care. It should preferably be dry cleaned. Conversely, if it has to be washed, then it should be done by hand and dried in a cool, shaded area. 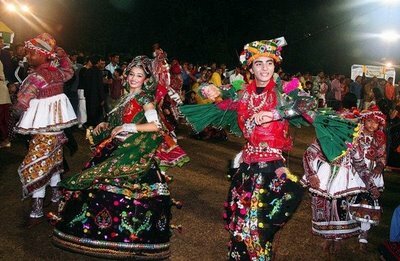 The biggest Garba dance festivals happen in the United States of America, every year. Besides the Kafni Pajama, men also wear fitted straight pajamas to go with their Kediyu. The Garba and Dandiya Raas are rated as two of the most energetic dances of India, therefore magnifying the need for comfortable and light clothing.